"Top Casino with Good Bonus"
NetBet is one of the most popular online casinos in the UK. It was established over 15 years ago and is one of the most reputable online casinos around. With a great welcome bonus and plenty to offer when it comes to regular promotions, NetBet Casino has something for everyone. Read our NetBet online casino review and find out everything this casino has in store for its players. The Net Bet Casino welcome bonus is a very solid offer worth up to £200. This is a 100% deposit match bonus. If a new player deposits £200 when signing up, he can start playing with a total of £400. Besides the cash bonus, players will also get 10 free spins to play with, providing they deposit the required minimum of £10 while signing up. The free spins are only available on selected Age of the Gods slots. This welcome bonus gives players a chance to make a strong start with the possibility to go big from the very beginning. Of course, before any real money winnings can be cashed out, the player needs to meet certain NetBet Casino Terms and Conditions. You can check out the most important T&C’s, as well as help on how to claim this bonus, in the section below. How do I Claim the Net Bet Casino Welcome Bonus? Are there NetBet Casino Bonuses for Existing Customers? Besides the bonuses listed below, Net Bet Casino also runs special game of the week deals plus regular slot tournaments and challenges every week. For a player looking for a reliable casino with solid all-round offers, there’s no better choice than NetBet Casino. The Monday Cash Attack is probably the most interesting bonus NetBet Casino currently offers to its members. It awards players with a £500 bonus for making the lowest deposit of the day. The player must make a deposit of at least £10, for e.g. £11 or £19, and if this deposit is the lowest of the day, £500 will be credited to the player’s account. Every Week, the Mystery Game Bonus holds a £10 bonus for all lucky players who manage to find it. This hide-and-seek type of bonus game requires the player to find the colorful Tiki parrot in one of the casino’s many slot machines, for a bonus of up to £10. Net Bet Casino offers a Mid-week instant bonus of 10 free spins for every player who deposits and plays through at least £10 on any casino slot in their game library. Players can use the free spins on Super Fast Hot Hot, Diamond Wild, Kobushi and/or Booster slot, on both desktop and mobile devices. The Live Cashdrop Promotion is available every Thursday to players who opt-in for the promotions and wager through at least £5 on Live Roulette during the day. The casino will automatically award 20 lucky players with prizes worth up to £100. Plowing through to the end of the week, the Happy Hour Friday bonus is sure to get every casino player in the weekend mood. The Friday Happy Hour bonus rewards players with a 50% deposit match bonus worth up to £50 in bonus money. This bonus is instantly credited to the player's account and comes with a 40x wagering requirement and a 7-day expiration date. Every Saturday, players can claim a £5 bonus by wagering at least £5 on NetBet’s Pick of the Day. To take part in this weekly promotion, players must opt-in from the ‘Available Offers’ section. The bonus is limited to £5 per player, per week. Every Sunday, NetBet Casino chooses one slot and packs it with free spins. Available for every casino user who’s made at least one deposit, this free spins bonus awards players with 10 free spins, with no extra deposits required. All players need to do is solve the puzzle featured on the promo page and open the game of the day to start playing with free spins. NetBet Casino has over 1000 games available for players to choose from. With such a rich selection, some people might presume that it gets a bit overwhelming browsing their library, but this is by no means the case. NetBet’s Games section is excellently organised. For e.g. Players can browse games by genre, software provider or search for them using the intuitive search function. The casino features games from 25 casino software providers including names like NetEnt, iSoftBet, Microgaming, Playson and Yggdrasil. Of course, the majority of these 1000+ casino games are online slots and there are some great progressive jackpots in this mix too. The super-popular Mega Moolah is the most known, while other jackpot slots include the Major Millions Reel, Cleopatra Megajackpots and Siberian Storm Megajackpots. Most online casinos offer special benefits for players who stick with them on a regular basis. However, the best thing about NetBet’s Players Club is that it gives players the chance to start earning loyalty points immediately after opening an account. These Players Club points, called NetPoints, are automatically assigned every time a player makes a real money wager on casino, live casino or lotto games. There are a total of seven tiers in the Players Club, the quicker the player collects points, the quicker he’ll be able to advance to higher levels. However, keep in mind that wagers placed with bonus funds don’t count towards the Players Club points system. Once they’ve amassed enough points, players can spend them in NetBet’s ‘Club Shop’ where they can browse between a large selection of bonuses, cash prizes and vouchers. There are also several surprise gifts waiting for those with the most luck, as Net Bet Casino also holds a monthly raffle. The Net Bet live casino is another great part in their product. Their live casino games are powered by the two best software companies for live casino games – NetEnt and Evolution Gaming. The Live Casino platform includes an impressive range of games. For e.g. variations of blackjack, roulette and baccarat. The Net Bet Live Casino is also compatible for players who like to gamble on the go. For users accessing Net Bet Casino’s UK platform, the British Pound Sterling currency will automatically be used. Also, NetBet's software will automatically detect from which location the user is playing. Payment methods include credit cards, e-wallets, prepaid cards and bank transfer. For e.g. NetBet is one of many casinos that accept PayPal in the UK. PayPal offers full and unrestricted access to both deposit and withdrawal transactions. Both deposits and withdrawals are free from any additional fees or charges at NetBet. Deposits are processed instantly while withdrawal time frames vary depending on the payment method used. All deposits and withdrawals have a minimum amount of £10. E-wallet withdrawal transactions are by far the fastest and approximately take about 24 hours. Is there a NetBet Casino Mobile App? NetBet Casino is fully accessible for both Android and iOS devices through the web app. Players can access NetBet’s mobile platform straight from their device’s browsers to enjoy a very pleasurable and user-friendly experience. With no major weaknesses and relatively low system requirements. There are also no download or app requirements. NetBet’s mobile platform offers so many possibilities, including banking options and exclusive mobile bonuses. The NetEnt Casino customer support is available all days of the week. Some support options are only available during certain hours. Players can send an email to NetBet Casino support anytime they wish, through a contact form available in the ‘Contact Us’ section. The UK phone support is available every day from 12:00 to 20:00 UK time at +44 (0)20 3608 6024. The casino also offers a live chat support service, which is also accessible every day from 9:00 to 23:00 UK time. Players who have general enquiries about the casino's products or content, can browse through the very helpful and extensive FAQ section. Is NetBet Casino Safe and Trustworthy? NetBet Casino is fully licensed to operate in the United Kingdom, as it holds a valid licence from the UK Gambling Commission as well as the Malta Gaming Authority. The company has been around since 2001 and has plenty of experience in the industry. They can be trusted and players can enjoy their product worry-free knowing that all of their games are regularly tested, fair and completely random. Net Bet Casino also provides its customers with a high level of support and assistance in dealing with problem gambling. They feature several gambling support organisations, including GamStop, Gamble Aware and GamCare. Their Responsible Gambling section is easily accessible from the footer of their home page and allows players to use certain limitations and mechanisms should they feel the need to do so. Join NetBet and Claim Your £200 Welcome Bonus! NetBet is an excellent casino that needs no improvement. 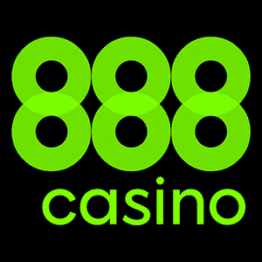 They have a well-crafted bonus system, a great selection of casino and live casino games and a very player-friendly and fair gaming environment. NetBet Casino also holds licences from the most reputable authorities in the world of gambling and has been around long enough for their reputation to be taken into consideration. NetBet is certainly one of the biggest online casino names in the UK and there are not many casinos out there that can keep up with everything this casino can offer. This casino also gives players the opportunity to play demo versions of their games, which is a strategy we advise all players to try out first. Of course, when you’re ready to start playing for real money, make sure you get the most for your money and take advantage of the huge £200 welcome bonus. Is there a NetBet Casino Welcome Bonus? NetBet Casino offers a very tempting welcome bonus to any player who decides to sign up with them. Their welcome offer is worth up to £200 in bonus money plus 10 additional free spins. Players can claim this offer by using the NetBet Casino bonus code ‘NBWELCOME’ and making a deposit of at least £10 after they sign up. What NetBet Casino bonuses are there for UK Players? Aside from the £200 welcome bonus, players who decide to stick with NetBet can also enjoy a multitude of bonuses available every day of the week. There are over a dozen promotions and bonuses available for existing NetBet Casino members, so make sure to visit their Casino Promotions page and check out all of them. Is PayPal accepted at NetBet Casino? Yes, NetBet Casino accepts PayPal as one of their valid payment methods, but it is only available to players who have a UK NetBet Casino account using British Pound Sterling. UK players can use PayPal for both depositing and withdrawing money from the casino. The minimum amount for all transactions is £10.